Posted by Andrew Killick (Publishing Manager) in 4. Castle Distributed Books, A Different Road. Here’s an excellent new book. 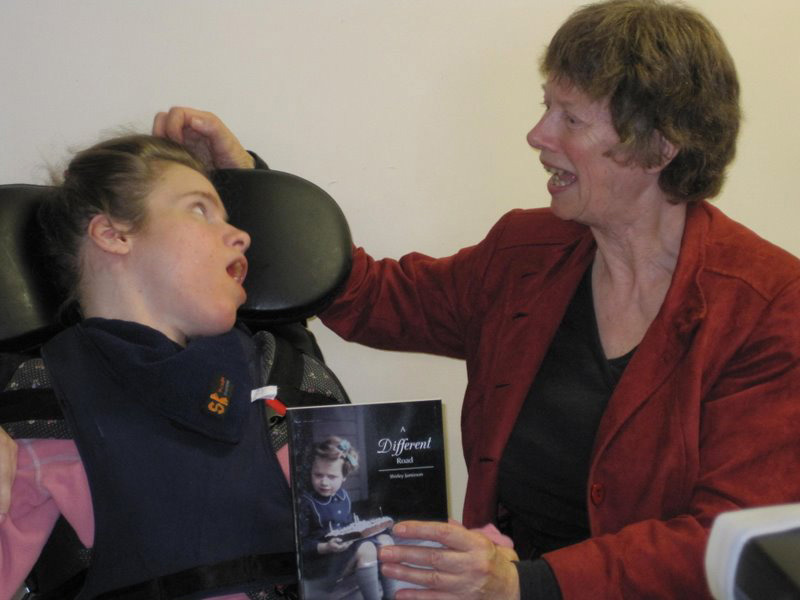 A Different Road is an autobiography by Shirley Jamieson, telling the story of growing up with partial sight in 1950s and 60s New Zealand. Later, when Shirley had children of her own, her daughter Janelle was born with severe cerebral palsy. This is a truly inspirational account of life and faith, and beautifully written. At Castle, we’re very pleased with how our production work has turned out too. The front cover incorporates a black and white photograph of Shirley on her 5th birthday – when her parents had explained to her why she couldn’t see things like other people could. The photograph was colourised by our designer for use on the book. Contact us for more information about this book, or find out more an purchase a copy here.